When we posted the North American box art for upcoming sci-fi role-playing game Mass Effect 2, it was given a beating for its visual awfulness by the Kotaku readership. Apparently Europe agrees, choosing a different Mass Effect 2 cover option. Gone is Shepard's blank stare at the consumer. Retained is ample bosom. Replaced is Shepard's alien comrade, with Thane standing in for Grunt on the PAL version. 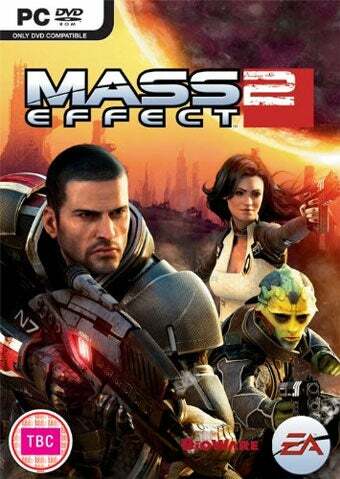 Hopefully, European Mass Effect fans find this box art option less "hideous," "off-putting" and "shockingly bad" than the Kotaku readership found the North American version. Neither, of course, is as subtle and understated as the collector's edition version of Mass Effect 2. But subtle and understated box art doesn't sell games, people.